We've worked on a number of projects with Segars Group and all have gone smoothly. Our first project together was the construction of a 19 chair infusion center with a compounding pharmacy. Barry, Kyle and our superintendent paid very close attention to detail and took care of everything. Following the success of our first project, we have engaged them on several more multi-phase projects. We trust Segars Group and know that they will deliver on what they promise. 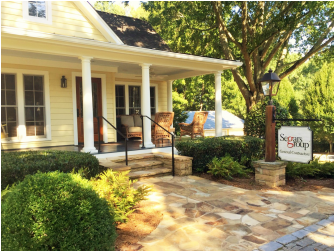 In 1999, Barry Segars left a large general contractor to work with the clients he had built relationships with over the years. A couple of other dedicated professionals who believed in Barry's business model followed him and together they formed Segars Group, LLC. Segars Group is a general contractor with a broad range of project experience. We believe in turning ideas into reality. Our reputation rests on our ability to deliver your ideas, on budget and on schedule. We know you are judged by your clients and by every visitor of your working space and building – that is why understating your ideas and priorities are so important. Our project managers get to learn about you, your project, and your goals to build those visions into diligently constructed spaces. In order for your project to become a reality, we must possess excellent organization skills and be pro-active communicators. By implementing these two attributes we achieve a quality project for the maximum value. 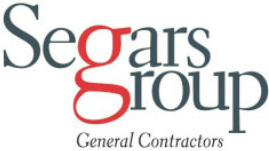 Segars Group is a commercial general contractor specializing in healthcare and commercial construction and renovation. Our clients enjoy the benefit of experienced project managers, superintendents and skilled craftsman who can produce the quality product required. We are experienced at completing high quality projects with difficult phasing and aggressive schedules. Segars Group has been successful for the past 16 years because of our professional staff and their commitment to our clients. 95% of our current work is for owners and architects we have served in the past. We are COMMITTED TO YOUR IDEA - see who has trusted us.